Few things symbolize the American experience better than an American pickup truck, at least for a lot of people. These are some of the finest pickup trucks that people are going to find anywhere. They will continue to stand the test of time. After the first world war, Chevrolet was the first to get an all new line of commercial vehicles on the market. 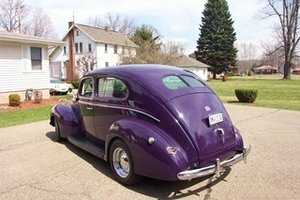 It introduced its Advanced-Design line in the summer of 1947 and since then, it has been a reliable favorite. 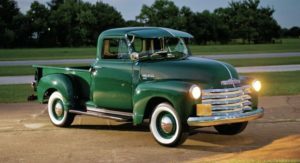 The 1947 Chevrolet 3100 is going to come on the top (or near the top) of almost any list of the classic American pickup trucks. This is a pickup truck that managed to set the standard for a lot of other great pickup trucks, which certainly made all the difference. 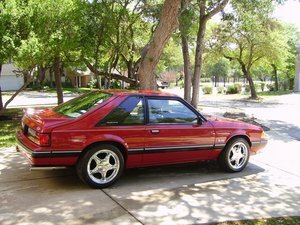 Its style, reliability, and six-cylinder engine helps seal its reputation. Shop all Chevrolet 3100’s for sale on OldCarOnline.com. Since 1989, the Ram Heavy Duty with Cummins engine has held more best in class titles than any other pickup manufacturer with the Cummins engine. These types of trucks are well known for their best in class long term quality, reliability and durability when compared to other manufacturers. The Cummins engine is the only engine also found in heavy equipment when compared to other truck manufacturers. 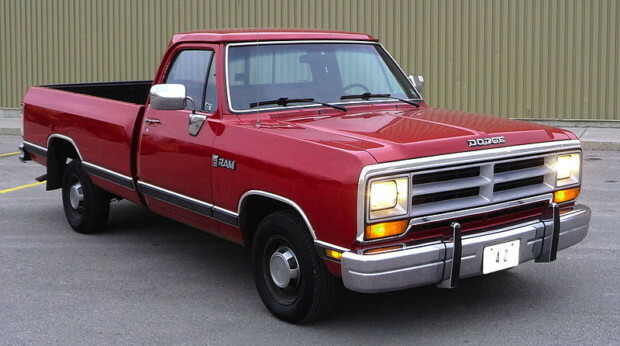 The 1989 Dodge Ram Cummins Turbo Diesel was a very important vehicle in automotive history. 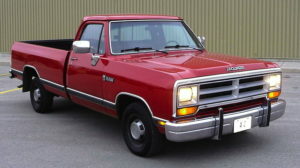 Its engine was one of a kind when it was first introduced, and the 1989 Dodge Ram Cummins Turbo Diesel was able to set a lot of important standards in the world of pickup vehicles. All pickup trucks made with turbodiesel power owe a debt to a vehicle like this one. Shop all Dodge Ram’s for sale. 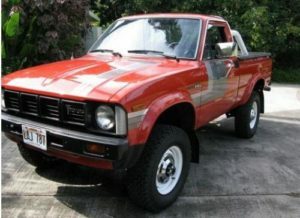 Following the new top of the range Super Deluxe model introduced in September 1978, the new dual purpose nature of the Hilux was reinforced by the first four wheel drive model launched in October 1979. This model adopted the driveline and gearbox transfer case from the 40 series Land Cruiser in order to compete with the reworked version of the now reinstated 2.0 litre R series gas engine. Diesel power followed with a 2.2 litre L series engine which was available for the first time in both rear and four wheel drive formats. The 1979 Toyota Pickup 4×4 is truly one of the most rugged devices of its kind on the market. 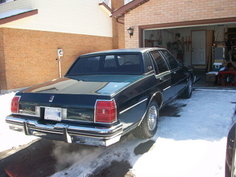 It has a frame that can really handle a lot of stress and an engine that won’t quit on anyone. Shop Toyota Pickups on OldCarOnline.com. The Ford F-100 was instantly accepted and went on to be a heavy hitter among classic pickup truck fans. 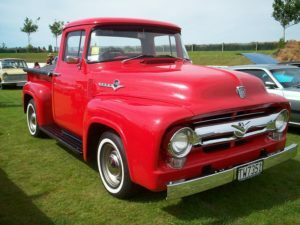 However, it wasn’t a powerful engine that made it popular with the initial 1953 Ford F-100 pickup still coming with the familiar flathead V8 engine which at the time was over 20 years old. 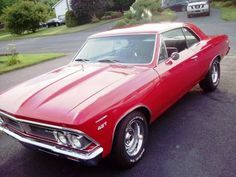 The biggest lure was the style of the vehicle with a tough, solid and ruggedly handsome appearance with a new set back front axle which gave it a nose heavy look. People who are looking for the pickup truck that many people consider to be the most stylish pickup truck ever built should look into the 1956 Ford F-100. Lots of people talk about how they love the look of classic mid-twentieth century vehicles of all kinds, and this is one of the trucks that really epitomizes the style of the era. Shop all Ford F-100’s for sale. The 1958 Datsun 220 went into production in October 1957 and continued through until September 1958. It was released at the same time as the new Datsun 124 which was a direct replacement for the previous Datsun 123 while the Datsun 220 entered the range as a higher specification version of the 124. The Datsun 124 used a old side valve 860cc engine while the new Datsun 220 used a new overhead valve C series engine. 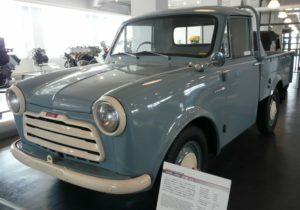 People who are looking for a classic small pickup truck as opposed to a classic large pickup truck should look to the 1958 Datsun 220, the original and best. It’s not horribly rugged, but it is reliable and effective. Shop all Datsuns for sale on OldCarOnline.com. The Dodge D-series trucks in the 1970s are still on the roads in large numbers, since there’s always someone who needs a simple work truck and doesn’t care if that truck is 10 to 40 years old. The 1973 Dodge D100 Club Cab forms part of the beginning of the third generation of the truck series which spanned until 1993 with minor changes and new features including independent front suspension and pocketed taillights. This truck has storage space in the cabin and not just the bed, which still makes it unique even by today’s standards. This simple design modification made it one of the top sellers in its day. Shop all Dodge D100’s for sale. At the beginning of the 1990s, Dodge’s pickup trucks flew under the radar with its models never managing to conquer a healthy market share. However, in 1994 everything changed with the launch of the innovative Ram pickup which took everyone by surprise. Not everyone loved the 1994 Dodge Ram when it first came out, and not everyone is going to love it today. 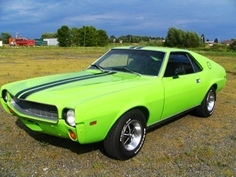 However, it managed to revive the Dodge brand by itself, and its design is truly unique even if it is somewhat polarizing. The new Dodge Ram attacked its rivals with a modern style and one of the most comfortable and ergonomically designed cabins. 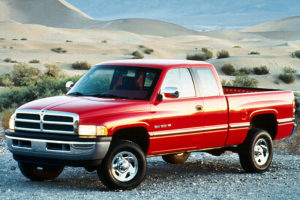 The 1994 Dodge Ram was also offered with a complete lineup of engines which included both diesel and gas units. Chevrolet introduced all new full-size RV pickups in April 1987 as 1988 models, all produced at three plants in Fort Wayne, Indiana, Pontiac, Michigan and Oshawa, Ontario, Canada. 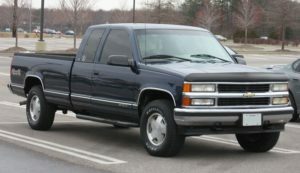 If people asked truck enthusiasts during the 1990’s what the best pickup truck was, many of them would have said it was the 1988 Chevrolet C/K. Twenty years later, many people would still say the same thing. The engineering and style are above reproach and the 1988 Chevrolet C/K handles remarkably well. 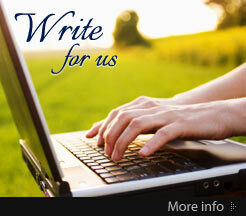 Browse all Chevrolet Pickups for sale. Article submitted by: Charles Partos, the owner of 51st State Autos, the UK’s largest importer of American Pickup Trucks in the UK.